Why Choose Smisko Law Firm? The Smisko Law Firm is a local, small business, that offers greater access and more affordable rates than the typical lawyer/law firm. Each situation and each person is unique. The Smisko Law Firm is not a one-size-fits-all firm. We offer custom solutions, focused on strong advocacy and committed client relationships are the foundation of this firm. Every case and client is important and given individualized attention. Joshua A. Smisko was born in Valencia, California. He attended the University of California, Irvine, graduating with a Bachelor of Arts. Mr. Smisko received his Juris Doctorate degree from Whittier Law School where he was a member of the Entertainment and Sports Law Society and a contributor to their quarterly newsletter and he also obtained a certificate in Intellectual Property. Mr. Smisko previously worked for a National Law Firm representing Banks, Mortgage Loan Lenders, Mortgage Loan Servicers and Foreclosure Trustees dealing with Wrongful Foreclosure claims, Fair Credit Reporting Act claims, Fair Debt Collection Practices Act claims, Evictions, and Bankruptcy matters. Prior to that Mr. Smisko worked at a boutique firm specializing in Intellectual Property claims and Title Insurance claims. 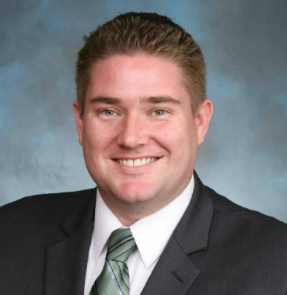 Mr. Smisko is licensed to practice in all State, Federal and Bankruptcy courts in California and is a member of the State Bar of California and the Orange County Bar Association and resides in Mission Viejo, California. The majority of Americans fail to have an estate plan in place. This can lead to uncertainty and conflict between your heirs as well as tax consequences for your estate. For a small investment of time and money you can address these areas of concern and put a plan in place if something were to happen. In addition, if you have small children, you must have an estate plan in place to address guardianship concerns at the very least. Call the Smisko Law Firm and we can help! Whether you are in need of legal advice as to Business Matters, Real Estate, Debt Relief or Estate Planning, the Smisko Law Firm can meet those needs with a talented, dedicated and experienced attorney. The Smisko Law Firm can assist families and individuals in planning for their future by creating estate plans customized to their specific needs such as Wills, Trusts, Living Trusts, Child Protection Plans, Durable Powers of Attorney, and Advanced Health Care Directives as well as Trust Administration and Probate matters. The Smisko Law Firm has over 10 years of experience related to disputes involving Mortgage Lenders, Banks, Loan Servicers, Trustees, Title Companies and Insurance Companies including Title Issues such as Easements, Property Line Disputes, Subrogation Claims and Prior Lien Disputes, Wrongful Foreclosure Claims, and Evictions. The Smisko Law Firm can assist with contract issues, business disputes, fixing your credit, stopping harassing collection phone calls, and helping to evaluate if bankruptcy is necessary. Are You Facing Legal Action or Need Legal Advice? The Smisko Law Firm offers free, 30 minute consultations, so if you are being sued, need to protect yourself interests legally or want to discuss estate planning options for you and your family, please give us a call at (949) 829-1299 and schedule a consultation today! Joshua Smisko, Esq. has been honored by Thomson West as a Super Lawyer, Rising Star, for 2015 and 2016. This honor is limited to 2.5% of the attorney population in California. I recently had the pleasure and privilege of referring a friend to Josh for some estate planning services. My friend is going through an egregious divorce; his situation is tense and complex with properties and children involved. Yet Josh was able to skillfully guide him through the process of establishing a trust, helping him protect his assets and children's future. Josh's integrity is above reproach. His skills, dedication and talent are such that every time my friend and I talk he makes it a point to mention how grateful he is that I introduced him to Josh. Often times referrals can bear tremendous down-side risk. Not with Josh. I have every trust and confidence that anyone I refer to Josh will be treated with the same extremely high levels of professionalism, expertise, knowledge and care, it is a pleasure to work with such a professional! We came to Mr. Smisko with a problem with a contract that we had not been able to resolve directly with the opposing party for 8 months. He was very responsive and asked for all the details regarding our contract. After quickly digesting all those details, he came back with a proposed resolution and drafted a powerful letter to the opposing party. This letter had an immediate effect and our issue was resolved. Mr. Smisko communicated with us every step of the way, keeping us in the loop on the progress and all communication. A great job! After almost an entire year of feeling desperate and powerless, we finally decided to move ahead with litigation to try to receive our wedding photos. One letter from Mr. Smisko was all it took to get the incredibly precious photos, and we ended up not having to go any further. This is one powerful and effective attorney!!! Mr. Smisko helped defend a case for my company. The other party made multiple claims that were not factually correct or legal. Mr. Smisko defended the matter vigorously with a variety of motions and other actions until the other party relented and dismissed the bogus lawsuit. We appreciate his performance and ability to keep us updated. This endorsement is based on a personal knowledge of Joshua Smisko's dedication to the highest standards of jurisprudence and is a person of the highest integrity. I have personally benefited from Josh's legal advice and counsel. His understanding and application of the law has consistently demonstrated a keen intellect, sound reasoning, and objectivity along with a sense of fairness and equity. Josh puts the well-being of his clients before himself in order to accomplish what is right and true. I have recommended Joshua Smisko to a number of friends who have utilized Josh's services and they as well have also recommended Smisko Law to other friends. The Smisko Law Firm is also proud to be featured on Nolo.com, Avvo.com, as well as being a Proud Member of the ARAG Attorney Network.